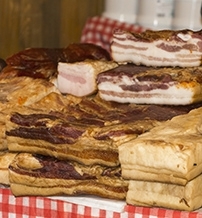 The annual Mangalica Festival will take place on February 8-10 at Budapest's Szabadság Square with tastings, presentations and cultural programs. This program was launched in 2007 and immediately won the hearts of Budapest citizens. This fest traditionally celebrates the curly-haired mangalica pig, a Hungarian heritage breed, alive and...well, prepared. 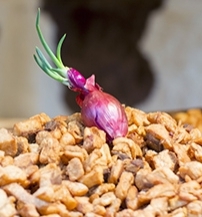 Visitors can taste a variety of products, including hurka (blood or liver sausage), kolbász (sausage), pork stew, cracklings and everything imaginable (and beyond) made of mangalica pork. The festival also offers cultural programs to entertain all, including arts and crafts fair and concerts. The breeding of mangalica began in Hungary in the first decades of the 19th century when two boars and two sows arrived from Sumada, Serbia. These hogs were then used for cross-breeding hogs from Szalonta and the Bakony. The result was a smashing success and the mangalica was bred almost exclusively in Hungary at the end of the 19th century. This shining period was ended by the Second World War. The endless massacres did not spare the pigs. Pig farms were destroyed one after the other during the bombing raids. However, the post-war reparation shipments caused even more damage in the mangalica herd than the war losses. In the 1960s, the number gradually decreased and the mangalica virtually vanished by the ‘70s as its number was only about 200 – worldwide. Today, the number of mangalica hogs is over 10,000 – thanks to the enthusiastic breeders, who have done their best since the early 1990s to ensure the survival of this breed. 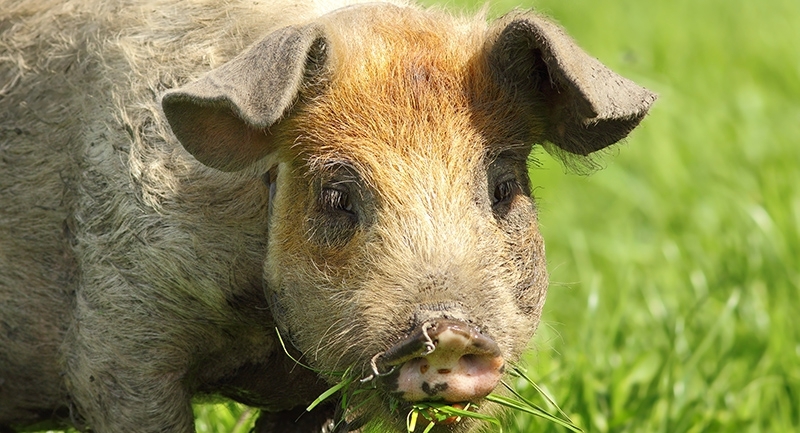 Why has the mangalica become the symbol for healthy meat consumption? Because its meat contains as much cholesterol as that of other types of hog but – as you can read on the web site of the Hungarian National Meat Industry Research Institute – it contains a considerable amount of Omega-3 fatty acid. Of course, it is healthy only when the meat is consumed moderately.